With 2016 coming to an end, it's important to start building your financial strategies for the next year. One of the essential aspects you need to take into account is network design and implementation. How many IT assets are currently included in your company strategy? Do they all run at peak efficiency? We're asking because there's a precarious phenomenon going on at the moment. Namely, the "set it and forget it" model of working. You get the servers up and running, for example, and hope you'll only have to think about them in another half a decade. This "ignore the matter and wish for the best" approach can be dangerous for your business. Instead of putting your business at risk and spending resources inefficiently, be more proactive. Perform an analysis of what works and what doesn't work in your network design and implementation. Ever experienced slow Internet speeds at home? This is a frustrating moment in itself. But what if your employees have to deal with it at work? Not being able to do your job properly can put a dent in anyone's mood. 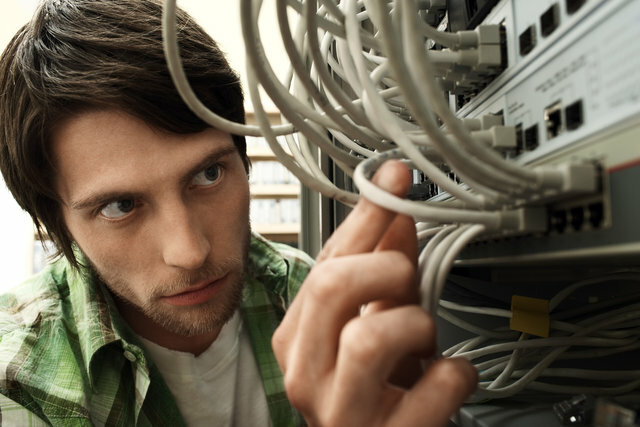 The worst case scenario is when your whole network fails and you're left waiting for the "IT guys." You're losing money for every minute wasted on these kinds of outages. When everything works optimally, employees can do their job efficiently. It's really as simple as that. However, slow (or no) Internet is a small problem compared to other issues which can occur. This leads us to the next aspect we want to bring to your attention, namely the safety of your data. According to NetworkWorld, Atlanta has a 582% malware infection rate above the national average. It's clearly a significant threat when it comes to business security. You're not just at risk of losing company data. Many businesses nowadays work with the personal information of others. While you may be able to recover from having your corporate info stolen, the latter case is much more difficult to deal with. Fines for data breaches can reach the millions, depending on how many customers you're working with. This summer, Morgan Stanley was fined $1 million for this reason. This may be nothing to a multinational, but what would it mean for your business? 1ix has been dealing with malicious network attacks since 1996. We've encountered enough of these issues to know just how much damage they can do - and how to combat them. The "it's better to be safe than sorry" mindset will ultimately help you avoid undesirable fines. And the resultant hit to your consumer base, which we will discuss in the next section. Loss of reputation is one of the most damaging hits a company can encounter. Those affected by your poor network design and implementation won't just let it slip - and they will not give you any second chances. People will not care what the causes of the breach were. Or that the hackers were skilled. They will only care for themselves and their data. And that you were responsible for it. It is important to take as many precautionary measures as possible to create an environment in which your business can thrive. Contact us today and request a risk-free network audit. We will evaluate your security and efficiency and come up with a better plan, suited to your needs.